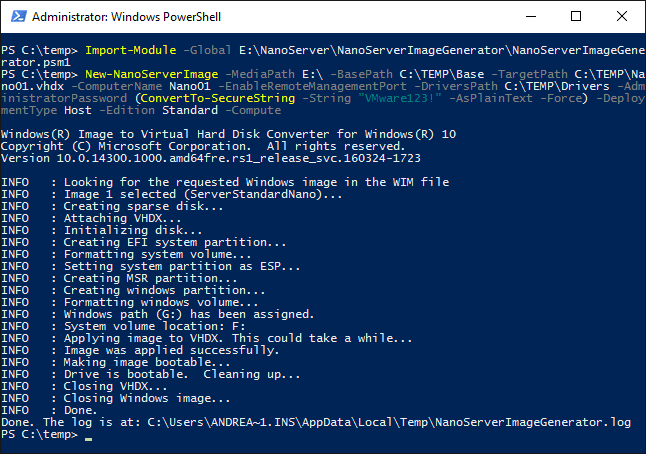 You cannot install Nano Server via a bootable setup CD like other editions of Windows Server, but it comes with its own Powershell based deployment framework. It will output a Windows WIM file or a Hyper-V virtual disk file in the old vhd or the newer vhdx format. The image needs to be converted to a VMware vmdk file, and then it needs to be uploaded to an ESXi host and attached to a newly created VM. The following steps have been tested on a Windows 10 workstation and an ESXi 6.0 U2 host. It should also work with Windows 8.1 and ESXi 5.5 though (maybe with minor modifications). If you have not already done so download the Windows Server 2016 Technical Preview 5 ISO file from the Microsoft Technet Evaluation Center. The requires a Microsoft account and a quick (free) registration. In this example we use the directory C:\TEMP\VMTools. Make sure that C:\TEMP already exists or use another existing parent directory. To clean up you can delete the C:\TEMP\VMTools directory again now. We do not need it anymore. Mount the Windows Server 2016 TP5 ISO to make it available as a Windows drive (In Windows 8 and 10 you just need to double-click on it in Explorer to accomplish this). In the following examples I assume that it has been mounted to E:. Adjust this as needed. 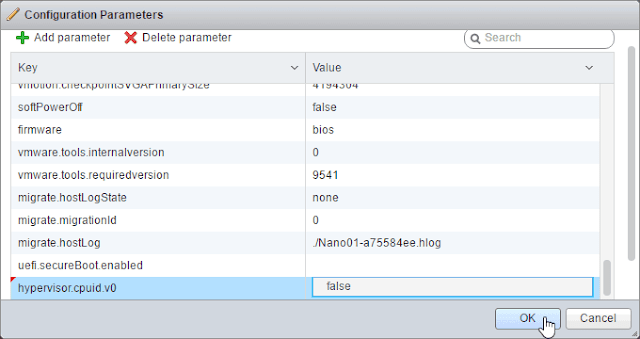 -EnableRemoteManagementPort : enable the Remote Management Port in Nano Server by default. This can also be done after deployment on the console. -AdministratorPassword : the local Administrator's password as SecureString. We use VMware123! in this example. -DeploymentType : Either Host or Guest. 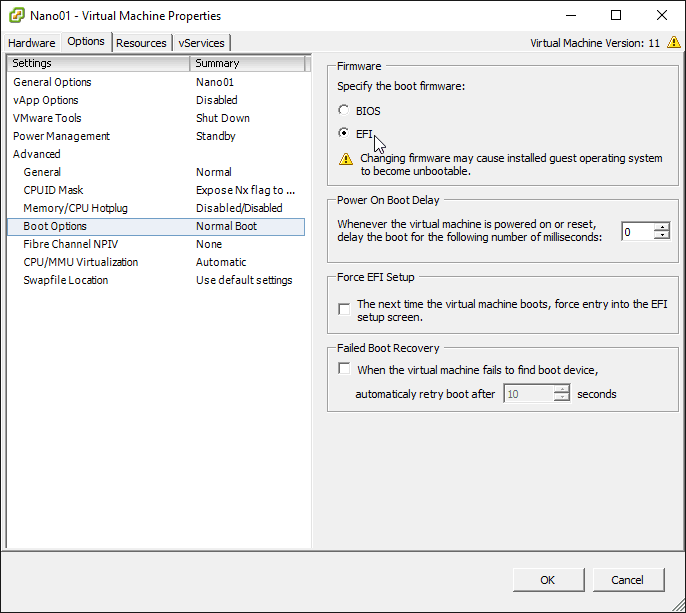 Specifying Guest here would automatically add the Hyper-V Integration Tools (the Microsoft equivalent to the VMware Tools), so that you can smoothly run the image as a Hyper-V VM. Since we want to run it under vSphere it is safe to specify Host here (which would also be used for physical deployments). -Edition : The Nano Server Edition, either Standard or DataCenter. -Compute : This is an optional switch that automatically adds the Hyper-V role to the image. There are other switches for other roles available. -DomainName <AD-Domain> : (Not used here) If you have an Active Directory available then you can have the Nano Server automatically join the domain by using this switch. 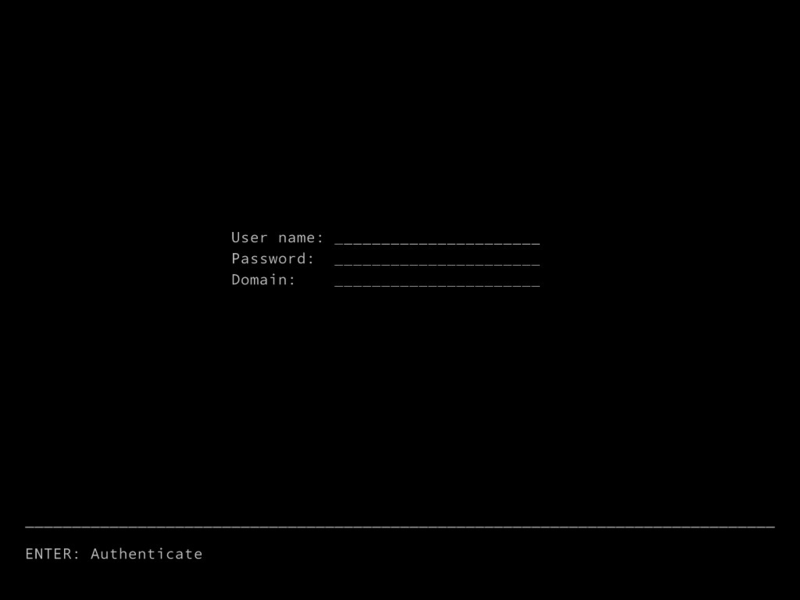 This makes remote management a bit easier, but requires the build command being executed as a Domain admin (resp. with sufficient permissions to join the computer to the domain). This will create two output files, a small metadata *.vmdk file and the actual disk file *-flat.vmdk (with 4 GB size). Do not add a hard disk at creation time! 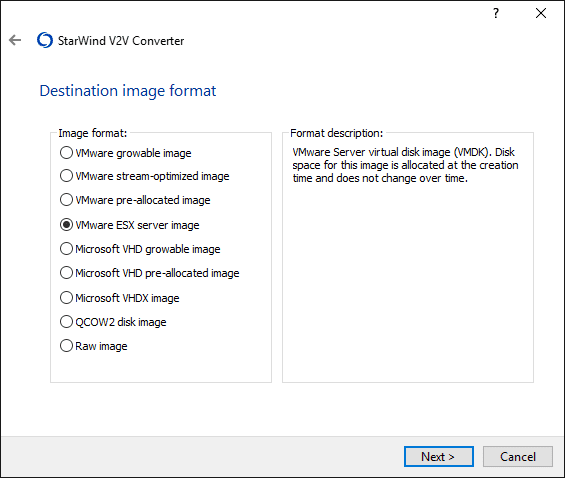 Now upload the two vmdk files that were produced by the Starwind Converter tool to the ESXi datastore directory that was created for your VM. 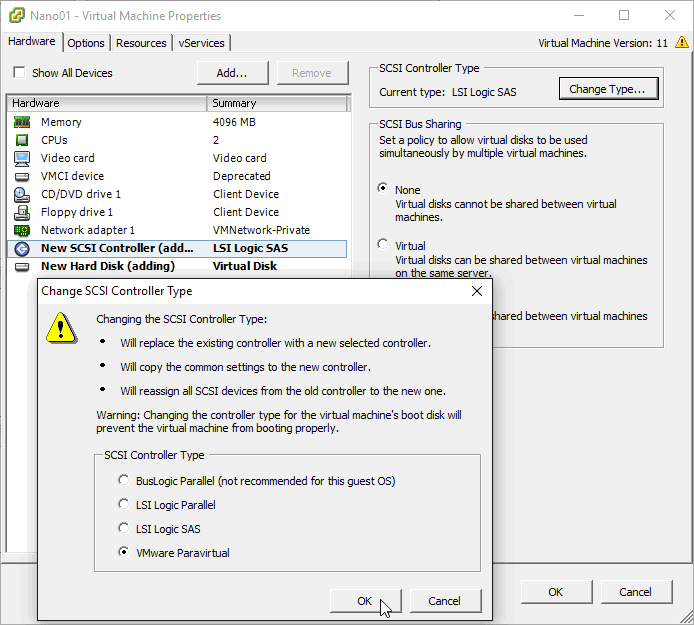 Edit the VM and add the uploaded disk as Existing virtual disk and Virtual Device Node "SCSI (0:0)". 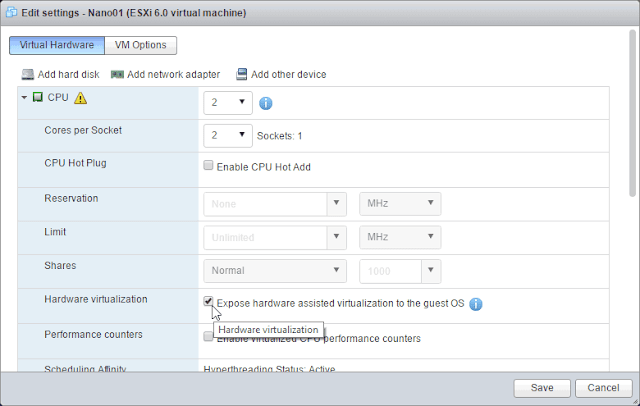 You must use the legacy vSphere Client for this step! I tried with the new HTML5 Host Client fling, but due to a bug in it you can add the disk only as type IDE there. 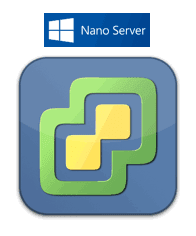 This is "only" a guide for deploying Nano Server on vSphere (using the most modern options), but not a guide to using it. There is tons of good documentation already available for this, your starting point is here: http://www.aka.ms/nanoserver. while the VM is powered off. One final note: My build instructions are based on the current Technical Preview 5 (TP5) of Windows Server 2016, and they may slightly change with the released version of Windows Server 2016. However, I do not really expect this, because Microsoft already announced that TP5 will be the last TP and that GA release is most likely to happen in September. So get started early and have fun! Nice article - thank you for taking the time to write it, useful for testing. Is it a bad idea to include the balloon driver or is there any other reason why you didn't include it? 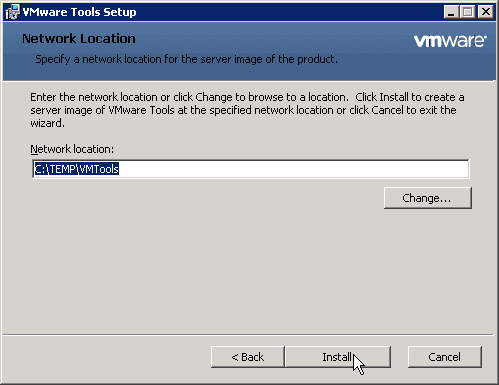 You can try to include it, but it won't work as expected, because for ballooning to work the VMware Tools Service is also required. 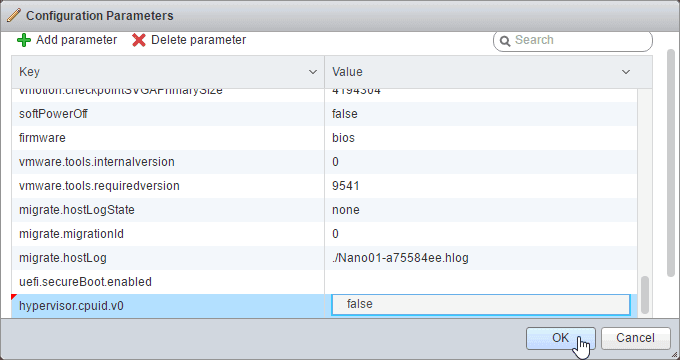 It communicates with the ESXi host and initiates the ballooning/memory allocation inside the guest when instructed to do so.